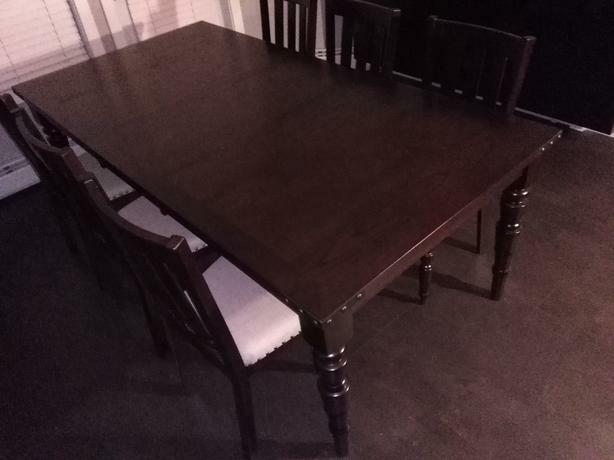 1 dining table (82"x42"x30" with extension) + 6 chairs. Solid wood, fabric seat, in good condition. Must pick up in SW Calgary.